Paulette Jordan is an Idaho governor candidate from the Coeur d'Alene tribe. Paulette Jordan, an Idaho gubernatorial candidate from the Coeur d'Alene tribe, says “she was birthed into politics” and her upbringing helped pave the way for her political quest to become the country’s first Native American governor. She grew up on a quiet and peaceful ranch surrounded by wildlife, bluegrass, and elders who she describes as self-sufficient, full of wisdom and teachings that she has carried along with her in life. She was raised around leaders and she felt it was her destiny to become one. Her grandfather was a chief of their tribe and her Toop’ya (grandmother) was a prominent figure in their community who Jordan cherishes most of her most valued memories with as her hero. 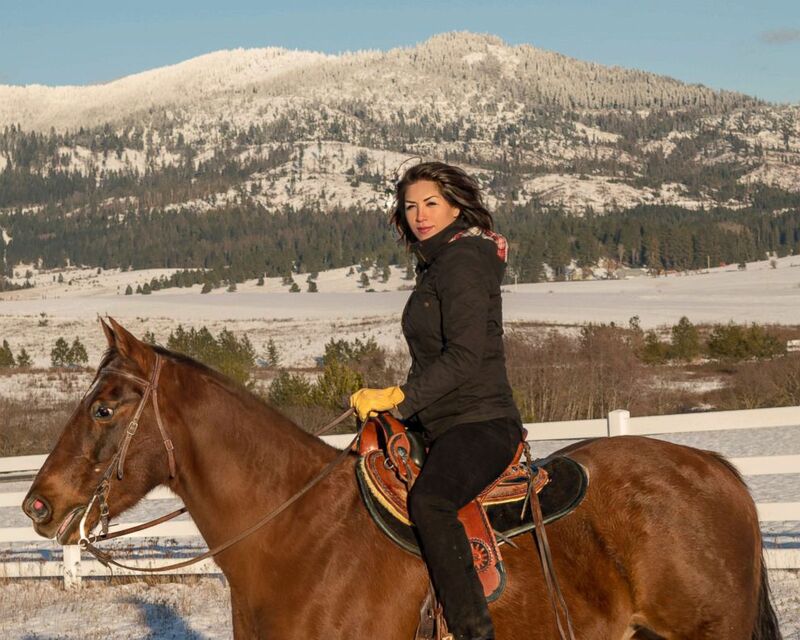 (Courtesy of Paulette Jordan) Paulette Jordan enjoys a horseback ride in Idaho. Her Toop’ya was known for being an old, pure soul who never cast judgment on anyone. She was known as the “sweetheart” of the Coeur D’Alene community. Since her death, Jordan, a state legislator, has taken her Toop’ya’s ideologies and used them as her political backbone. Jordan cinched Idaho’s recent Democratic gubernatorial primary - a historic win. The Idaho Statesman in its endorsement of her ahead of the primary said that voters have a choice between electing a traditional candidate or they could "try something – and someone – new". Former Labor Secretary and Democratic National Committee Chairman Tom Perez recently tweeted his congratulations to Jordan saying " A big congratulations to fellow DNC member and Idaho's Democratic nominee for governor @PauletteEJordan! We are inspired by you and can't wait to see you soar in November." Jordan says she sees her role as “significant” to other women especially amid the current "pink wave" of an increasing number of female candidates seeking office and the "MeToo" movement of women speaking out about sexual harassment and assault. Jordan also views her platform as pressing in this current political climate. Jordan has other issues she’s focused on as well such as protecting the environment, expanding education resources, healthcare among other topics.